I can't believe how time has flied. It's now almost a year since I made the epic journey up to Mana Pools in Zimbabwe with Marlon du Toit. I am still working through some images captured there last year. Here's one I thought you would enjoy. It was taken at sunset on our first afternoon in the Zambezi riverbed. I was sitting on the river bank photographing some elephants foraging in the sandy riverbed. 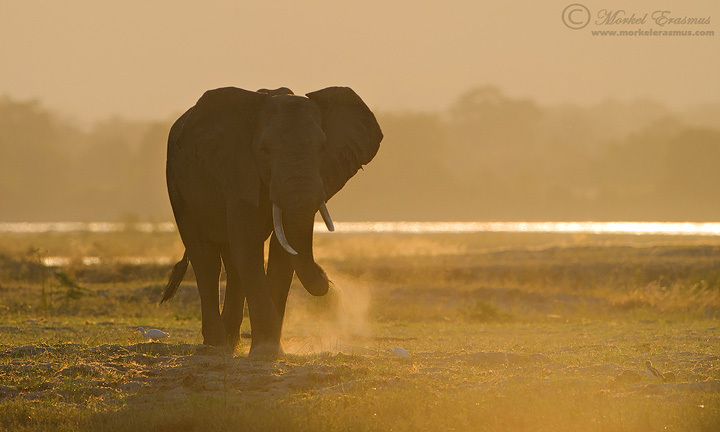 There are few things that compare to the light of an African hazy sunset combined with dust and an iconic animal.